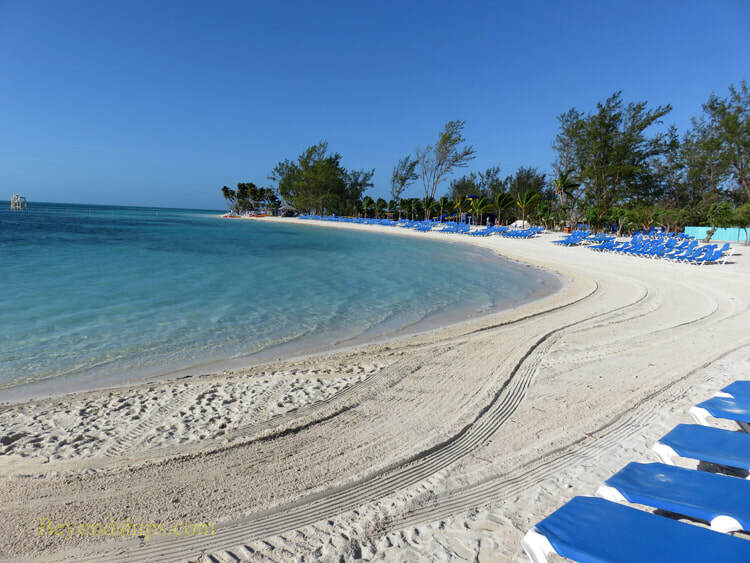 Coco Cay has four named beaches. The beach closest to the tender dock is Snorkel Beach on the east side of the island. It is also close to the main dining area. 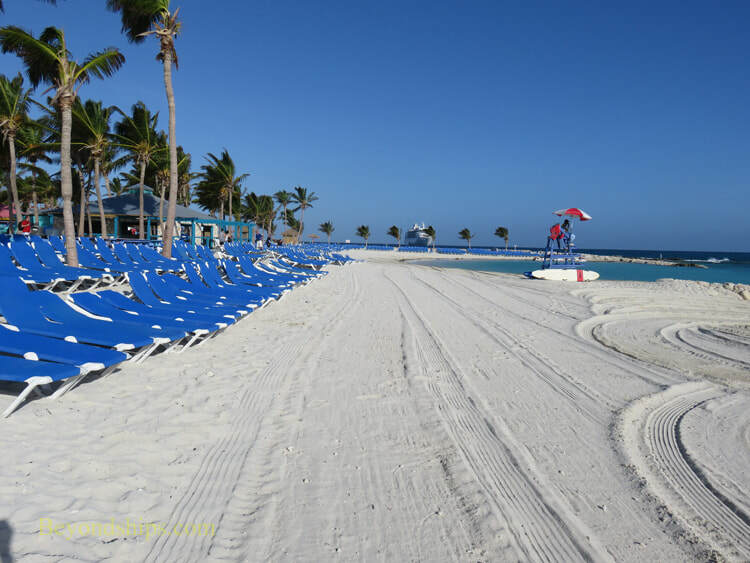 A white sand beach with numerous sun loungers, it looks across the narrow channel to Great Stirrup Cay. Adjacent to Snorkel Beach is Water Sports Beach. As the name suggests, kayaks, paddle boats and other water sports equipment can be rented and used here. At the southeast corner of the island is Coco Nut Willie's Beach. This beach looks out towards Caylana's Aqua Park. Next to Coconut Willie's is South Beach. At one end of this beach is the Floating Bar while at the other end is an exclusive area with beach beds and private bungalows. 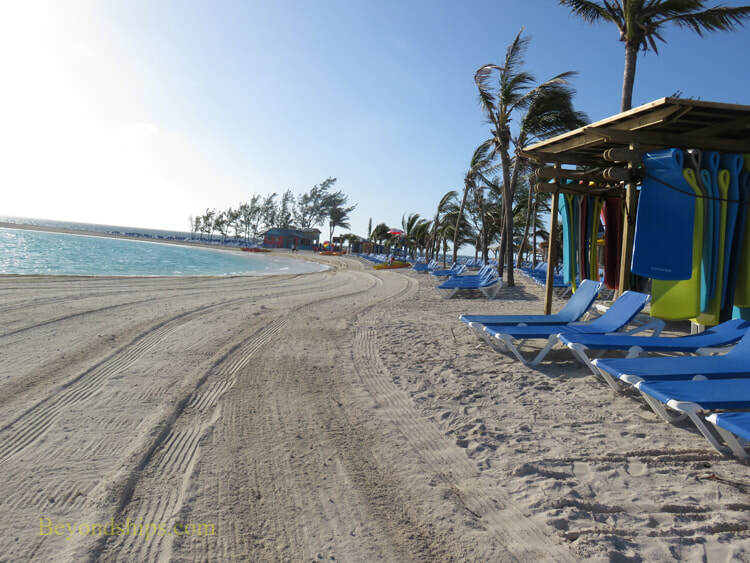 Visitors to Coco Cay can relax in various degrees of luxury. ​There are rows of sun loungers on each of the beaches (right). For some shelter, you can hire a clam shell. (below left). The next step up are the beach beds in the exclusive section of South Beach. 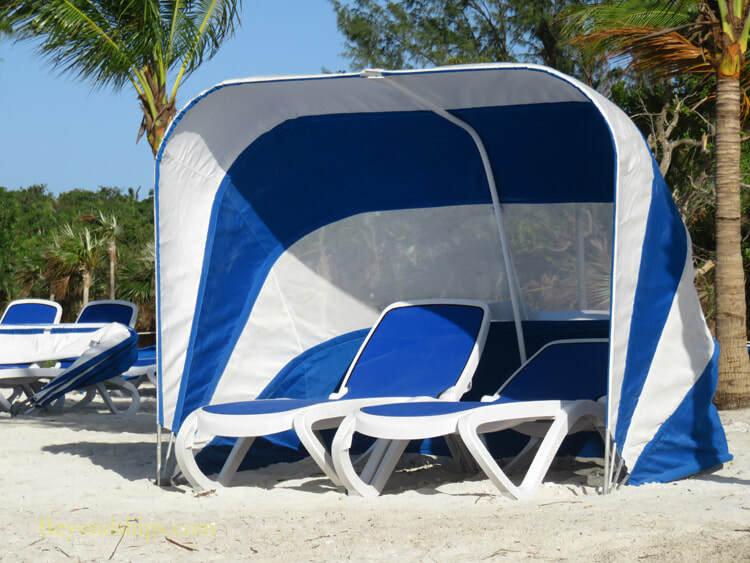 Private cabanas are also available at Seaside Point. This exclusive area on the northeast corner of the island is fronted by a rocky coast rather than a beach. However, Snorkel Beach is not far away.